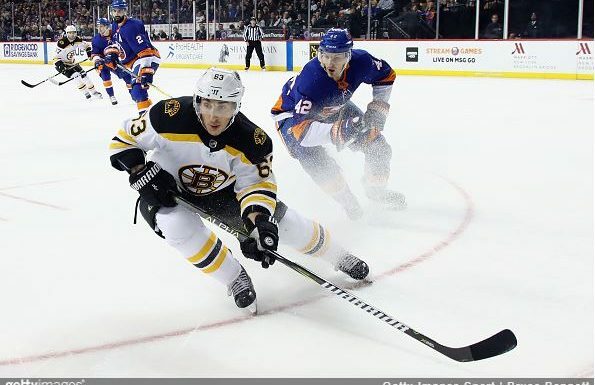 The Boston Bruins winger and professional agitator Brad Marchand has been banned for five games following his elbow to the face of New Jersey’s Marcus Johansson. Seems the age-old defense of ‘I didn’t want him to hit me so I hit him first’ doesn’t get the charges dropped. Here’s the NHL’s Department of Inconsistent Decisions’ ruling. Now the length of the ban isn’t what’s annoyed me here (for once), it’s that the ban doesn’t include the All-Star Game this weekend, the NHL’s annual fundraiser/distraction. This feels like further reinforcement that the NHL has lost touch and is pandering to the dollar before its own integrity. There’s no way that Marchand should get to go to the All-Star Game, the whole purpose of the event is to showcase the best of the NHL through fan votes, competitions and merch. Sure, he’s Boston’s leader for goals and points, but he’s also a pest, and his actions fly in (and elbow) the face of the the few remaining good intentions that the NHL still maintains. Committing an offence as outrageous as throwing an elbow into the face of a fellow player deserves a ban, and a stint without pay. The opportunity to play and potentially earn a decent slice playing in the All Star Game is counter-intuitive to the intent behind the ban. Or join in the conversation on Facebook.